Here’s something I hadn’t known before: Long before he embarked on a freelance-writing career, became The Wall Street Journal’s crime-fiction critic (a post he’s held since 1990), and wrote Ross Macdonald: A Biography (1999), Tom Nolan was a child actor. 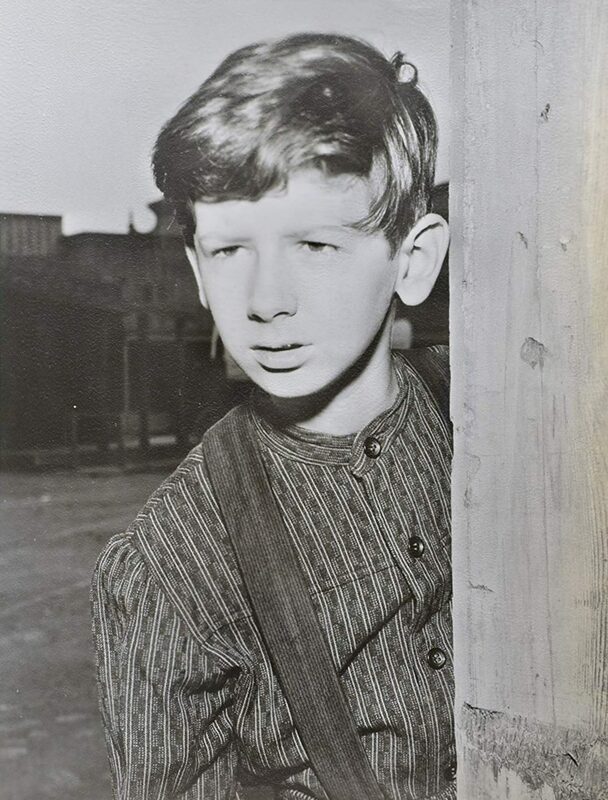 Tommy hit his TV peak at age 10 after being cast as Jody [O’Connell] in the gentle, non-violent TV Western Buckskin [1958-1959] opposite Sally Brophy, who played his widowed mom. Set in the frontier town of Buckskin, Montana, the show was seen from his young perspective* ... Although [Buckskin] only played for one full season [preceded by a half season in the summer of 1958—39 episodes in all], Tommy had comic books out with his character and his autograph was well in demand at parades, conventions and other public outings. After the series’ demise, Tommy continued on other shows, many of them Westerns such as Rawhide, The Rifleman, Gunsmoke and Wagon Train, not to mention recurring roles [two different ones] on Lassie. I recently discovered one episode of Buckskin on YouTube, “The Trial of Chrissy Miller,” which was originally aired on July 31, 1958. It’s presented below, in four parts. † Both IMDb’s Tom Nolan credits page and Wikipedia’s page about him err in conflating this actor turned journalist turned biographer with another man of that same name, who evidently started performing as an adult in Hollywood around the same time the Nolan we’re interested in here stopped. Author Nolan explains that he began his acting career in 1953 (at age 5) and left it in 1969, though his final screen credit, for The Moonshine War, is listed as 1970. The actor listed in IMDb as having later appeared in movies such as Pretty Woman (1990), Taking Care of Business (1990), and White Man's Burden (1995), and in TV series on the order of Jessie and Simon & Simon, was somebody else entirely.